The Romsey Art Festival aims to generate opportunities that improve cohesion and a sense of community through creativity. We were delighted to be involved in Cambridge’s first ever Baby Rave, held at the Cambridge Junction on Sunday 6 September. Baby Rave, which creator Mary Downham was keen to point out is emphatically not a baby disco, is an opportunity to enjoy an afternoon of dance music in a club-like atmosphere – a rare event for many new families! As well as helping to promote the event, volunteers from Romsey Art Festival were at the rave providing art workshops to create more pearls of wisdom. The event was a sell out and it is hoped that more will take place in 2016. 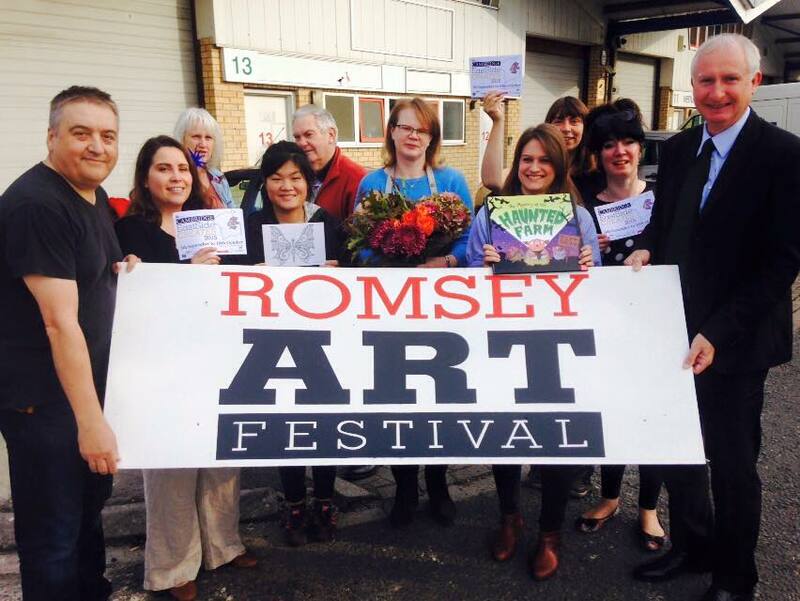 Romsey Art Festival enjoys good relationships with community groups and works to extend these relationships. This year, we helped to facilitate a collaboration between local artist Jill Eastland and FoodCycle in Cambridge. FoodCycle is national volunteer project that works with organisations and businesses to reduce food poverty and social isolation by serving tasty, nutritious meals to vulnerable people. Families from Barnwell attended the Rubbish Food workshop to learn about sustainable sources of food, create foraged food-inspired artwork and learn to prepare exciting, nutritious and economic meals. Participants were encouraged to stay on and share the meal as part of the regular FoodCycle community meal. Throughout the summer, Romsey Art Festival volunteers worked with the local social enterprise Turtle Dove Cambridge to bring together young and old in an intergenerational arts collaboration called ‘Pearls of Wisdom’. Workshops took place at community events such as a local street party, where children were invited to create ‘a pearl’ and an older family member added some words of wisdom. The culmination of the ‘Pearls of Wisdom’ project was the Enchanted Tea Dance at Ditchburn Place, a sheltered housing scheme for older people, on Saturday 10th October. An exhibition of the ‘pearls’ formed the backdrop to an afternoon of dancing, Christmas card making (with children’s mental health charity, Blue Smile) and traditional afternoon tea and cake. Festival activities attracted visits from the Mayor of Cambridge (to Ditchburn Place) and Cambridge MP Daniel Zeichner. Daniel went along to the Cambridge Art Salon studio on 2 October to celebrate Romsey Art Festival’s new initiative EastSide Creates with volunteers, artists and makers at Unit 13. The biggest event of the festival was the Masquerade Fundraiser an evening of short films, poetry performance, prizes, art auction and live music, held on Friday, 9 October and which raised over £700. The success of the auction means we are able to fund community arts activity in East Cambridge, for example Abbey’s Winter Lights, and make them accessible to people on low incomes. Whilst our focus is on participation, we also encourage access to view, listen and watch, as part of an audience, particularly the work of artists who relish exhibiting in non-traditional, public spaces. These include the bathtub pond by Cambridge artist, Kirsten Lavers, an exhibition by the highly regarded Indian photographer Mala Mukerjee which helped raise money for the NSPCC in Cambridgeshire at the Six Bells. An exhibition of mixed media works by Manuela Hübner at The Geldart; a flower display in The Old Chemist Antique Shop and a very busy ‘Poetry Takeaway’ on a Saturday afternoon at the Black Cat café. “What really enrichens your life is joining in and taking part and getting to know people – that’s what makes things like the Romsey Art Festival happen”. Zoe Chamberlain, public artiss and lead on the Thresholds Project, of which the Barnwell Treasure Keys was a part.